I've noticed something on the Stack Overflow login page: detecting if an email address has been used by a user for registration is actually possible. 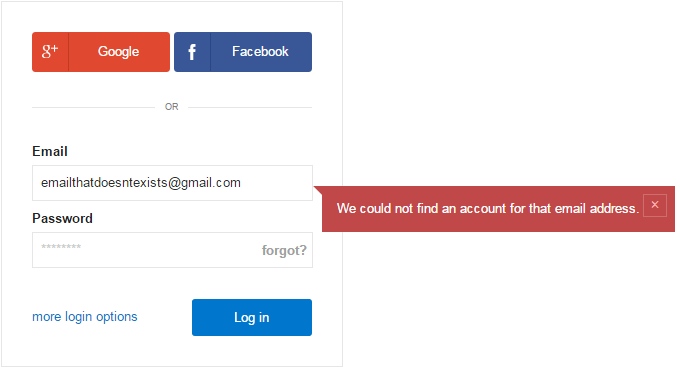 In short, when you want to log in with an email that is not registered, you are provided with an error message that states that there is no account with the email you provided. If you provide an email that a user used to register on Stack Overflow but provide a wrong password, the error message states that the password you used doesn't match the one used for registration. 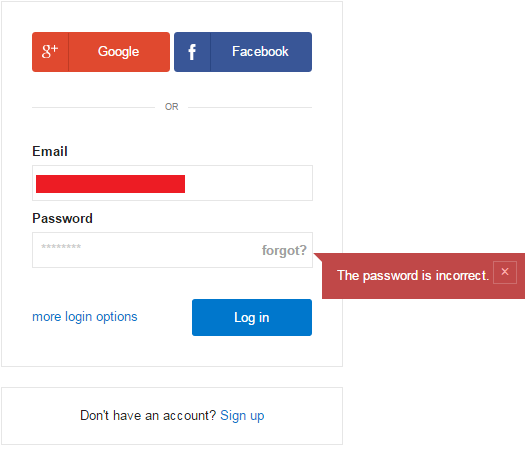 I have been told on many occasions (in both job contracts and school lessons) that when a combination of login/password is wrong, the error message should not specify whether it's the email or the password that is wrong. It should rather tell the user that either one of them is incorrect without specifying which one exactly, so as not to indicate if a specific login exists or not. So why doesn't the Stack Overflow login form follow this (what I consider a) basic security rule? Many people are very quick to point out that hinting that an email exists in the system as part of a login error is a bad idea. What most people don't talk about is that nearly all of those systems that give vague error messages like "Either your email or password is wrong", will flat out tell you "That email already exists" on a sign up page, rendering that "security enhancement" on the log in page useless. StackExchange is doing the correct thing for their use case. The usability gain is worth it, because if someone really wanted to figure out what emails are valid and being used, they'll just check the signup forms. As others in the comments said - Stack Overflow isn't a bank. We don't need to have the kind of security that a bank does. Additionally (also mentioned in comments), there is a trade off between making something secure and making it easy to use. In this case, we have chosen on the side of usability. In the worst case, we are leaking that someone is using the Stack Exchange network with that email address. Not the answer you're looking for? Browse other questions tagged bug status-bydesign login security error-message . How to add email authenticated login with Stack Overflow? Detecting user previously signed up with Google? Is there a fault / problem in the Stack Overflow login feature or did I just do something wrong?